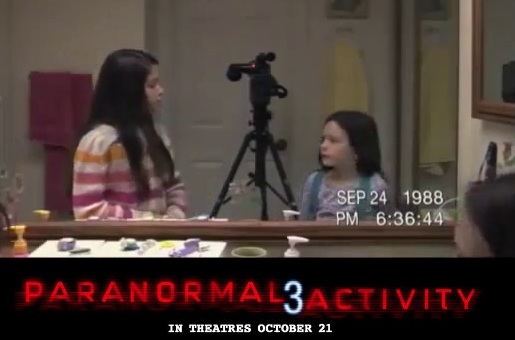 The movie Paranormal Activity 3: trailer, clips, photos, soundtrack, news and much more! A couple are pursued by an evil spirit in their own home. In an attempt to unveil the mystery, they install cameras throughout the house to capture the strange paranormal activity occurring. Can’t wait to watch this new creepy opus of the Paranormal Activity movie franchise. Discover how the activity began! The film will be released on October 21, 2011. The film is actually a prequel to the first two films, we’ll see how that evil spirit started to stalk Katie when she was a kid: awesome! The end of Paranormal Activity 2 was left wide open for a potential new sequel. 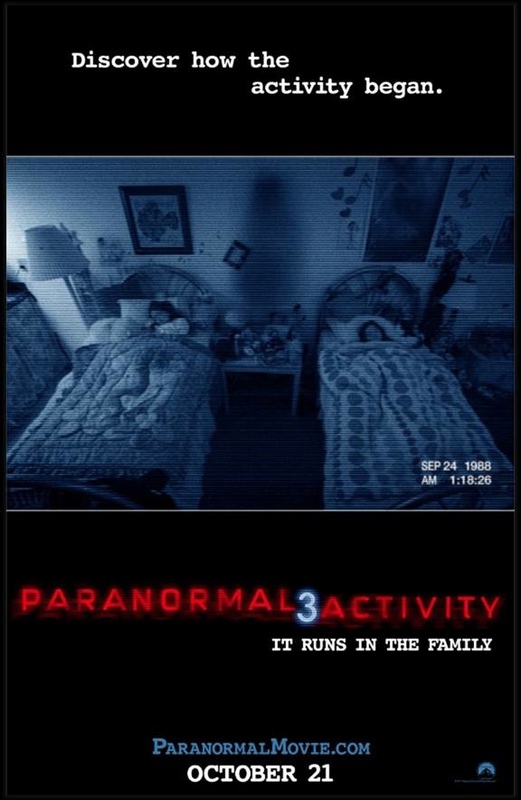 So you won’t be surprised to learn that Director Oren Peli, who helmed the first Paranormal Activity movie and is now attached to the franchise as producer, announced that Paranormal Activity 3 is now scheduled for October 21, 2011. Yep, the studios have officially greenlit Paranormal Activity 3! No wonder, the studios are so keen to extend the franchise: it’s comparatively cheap to produce and still brings in tons of money. The plot of Paranormal Activity 3 hasn’t been revealed yet. What do you think will be the focus of the next film? A prequel with Katie’s childhood or a real sequel that would follows Katie who’s now possessed by the demon and who abducted her sister’s baby?